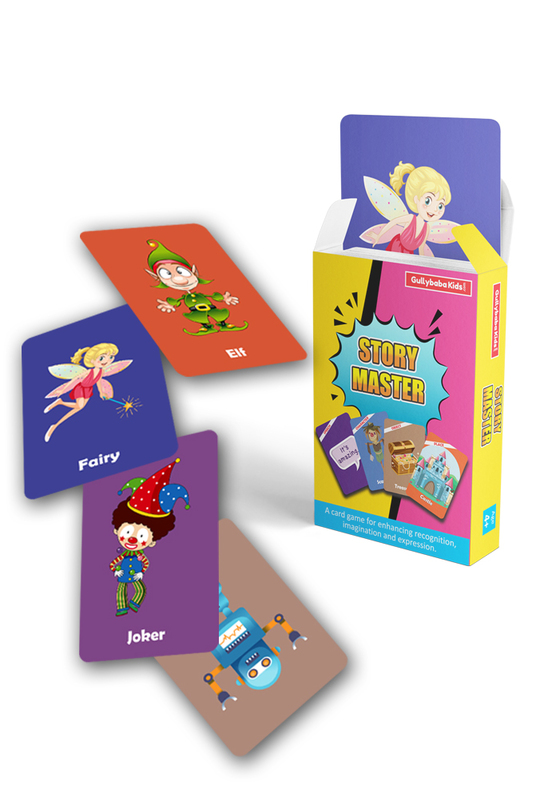 Kids will enjoy rearranging the cards and create fresh story each time. 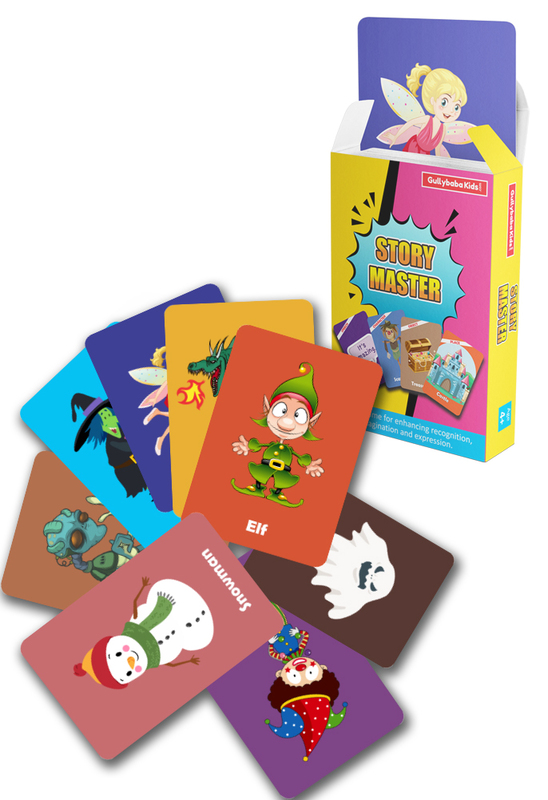 You and your child can engage in storytelling with these cards. 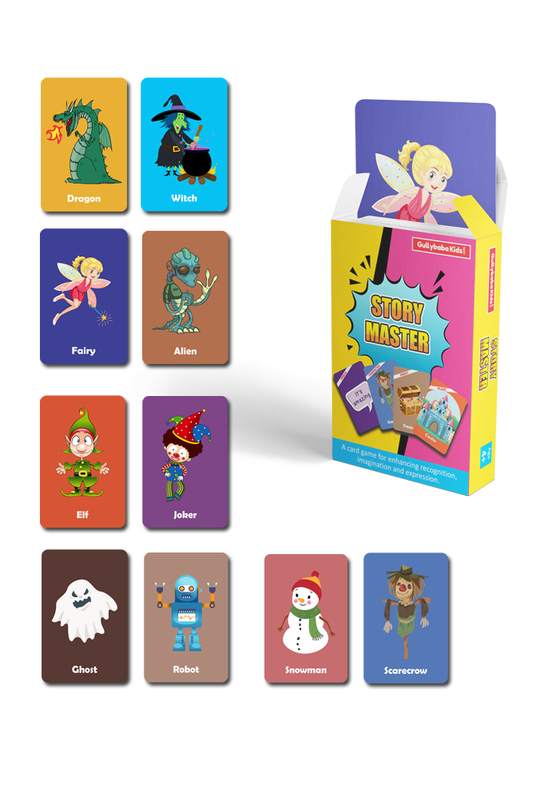 All these cards have places, objects, characters and speech words and hence you can use all these for making a unique and interesting story. 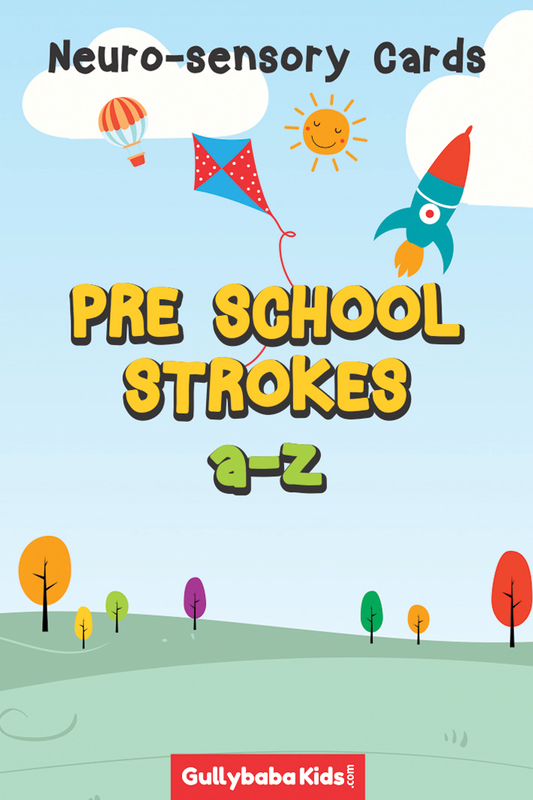 Good game to develop creative side of kids. Lots of stories to tell. Endless possibilities. It’s incredible to see imagination and creatively come alive, when a child uses this to come up with a tale of her/his own. 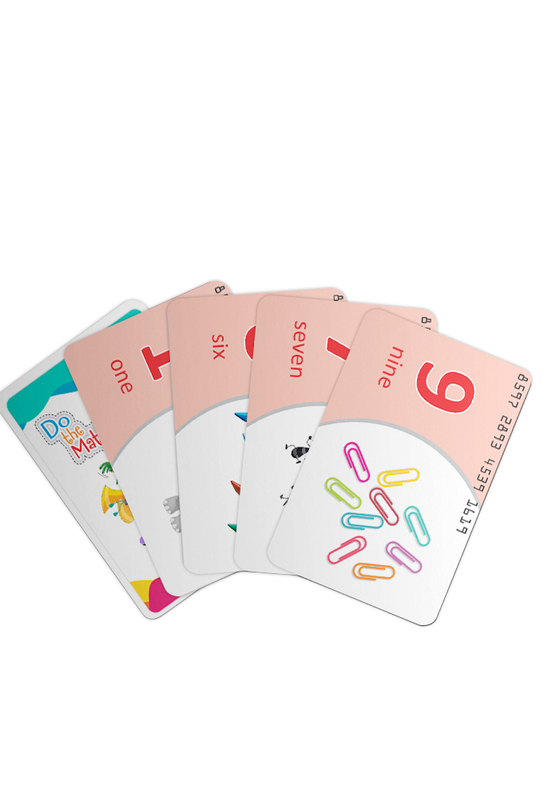 I think this is the best product to make children creative thinker. It’s also helpful in language development. I liked very much all products of gullybaba. 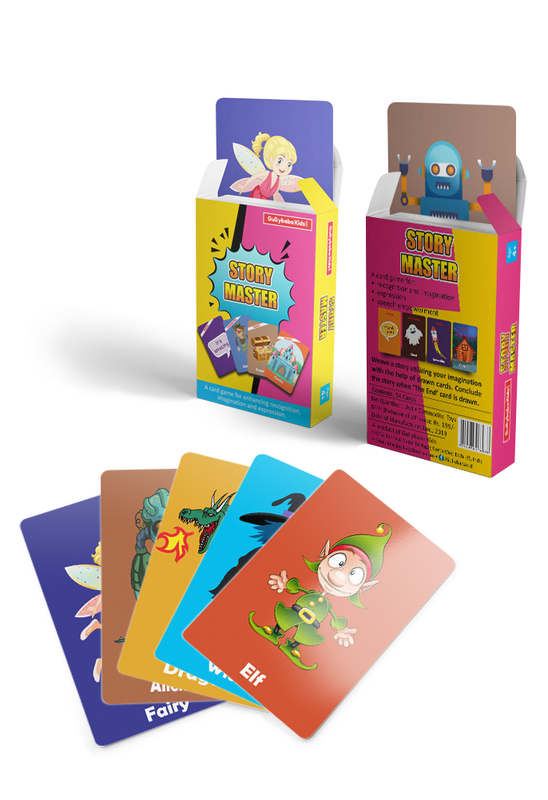 I think what has compelled me to write for your product is its ability to invoke the element of creativity in the kids. Very rarely I find a product, especially when it comes to a product that could facilitate mental development of a child.